Property 4: Venice with a green heart! Property 8: CORTE DELLE ROSE: Dream terrace in the heart of Venice. Venice! 15 'by train. Lido, Chioggia, Padua, Treviso, Verona-Wi-Fi free. Property 10: Venice! 15 'by train. Lido, Chioggia, Padua, Treviso, Verona-Wi-Fi free. Property 12: Very bright 140sqm house in the historic center of Venice. 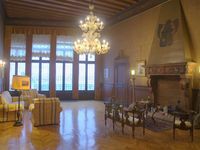 Property 41: Villa "La casa di Tina"
We couldn't wish for a better place for our 5 day stay in Venice. 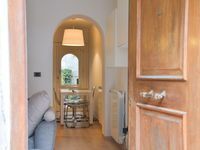 The location is wonderful, close enough to the train station and Piazzale Roma (the two most likely spots to reach Venice) and, most of all, a 2 minute walk to one of the most beautiful piazzas (San Giacomo dell'Orio) in Venice. This piazza has greenery, benches and you can see lots of kids playing outside (a rarity in Venice). In addition, there is a bakery, a supermarket and several restaurants. You feel like you are one of the locals, away from the populated tourist areas which can feel overwhelming at times. Nonetheless, you can reach any of the main tourist areas and more, in easy and picturesque walks. The place itself has everything one may need (including great travel guides to the city), with a patio garden and a well equipped kitchen. The bedrooms upstairs are very spacious, with lots of natural light, and the beds are extremely comfortable. The communication with Constante was flawless, before and during the visit. We would highly recommend his lovely house for anyone planning to stay a few days in Venice. If you like staying in a Venetian palace on the piano nobile with gargantuan rooms, then this the place for you.